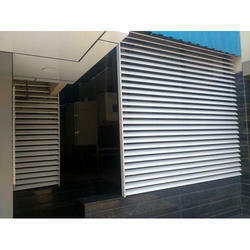 Our product range includes a wide range of air louvers and suniti rectofins air louvers. We are engaged in providing the Air Louvers. These are specially made with Galvanised steel and are powder coated for 10 years guarenteed protection. We are Exclusive manufacturers for Chamfered Fins, Aerofins, Rectofins. These fins are light weight, made from Galvanised steel for economy and are powder coated with the finest technique with a guarentee of 10 years.